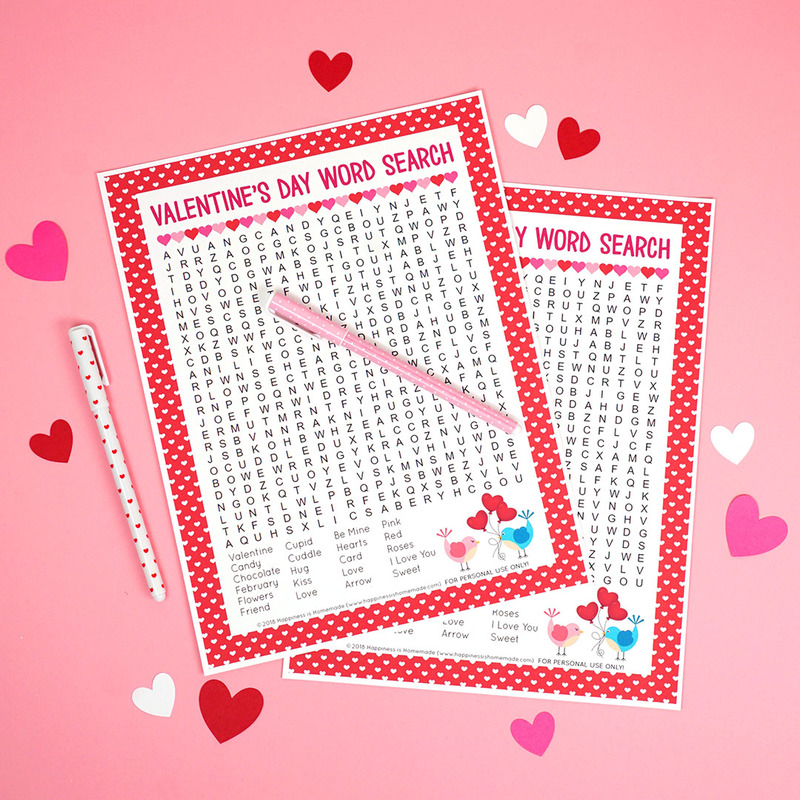 Looking for a fun and easy Valentine’s Day game for your classroom, family, church, or playgroup? 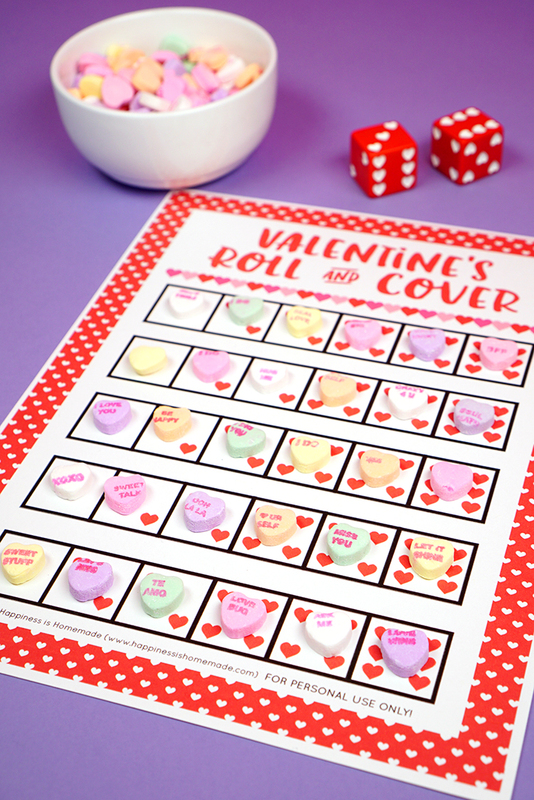 This Roll & Cover Valentine Game is fun for kids of all ages! 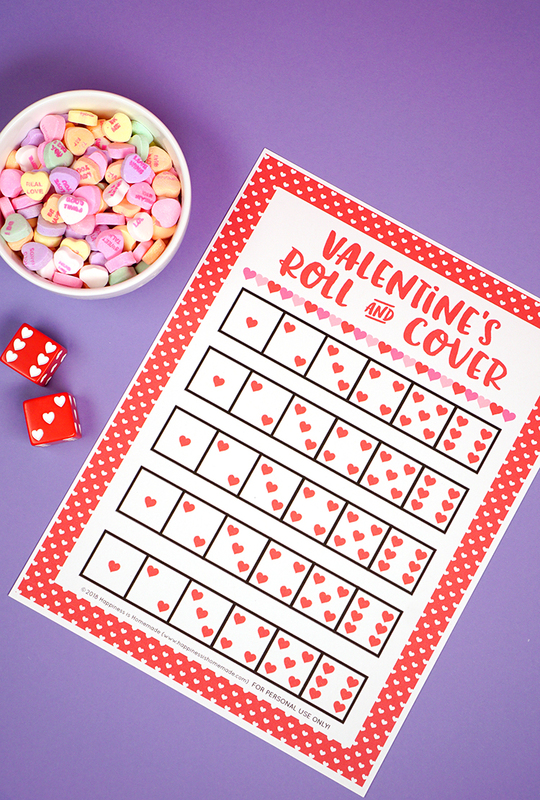 Use our free printable valentines game and race to be the first to cover all of the dice with candy hearts! 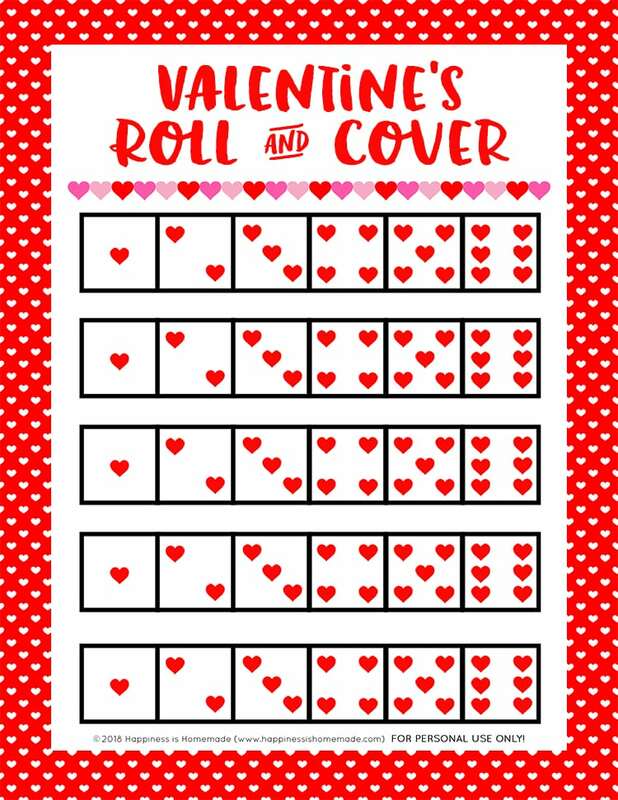 Roll and Cover is one of my favorite valentine games to play with a large group of people! 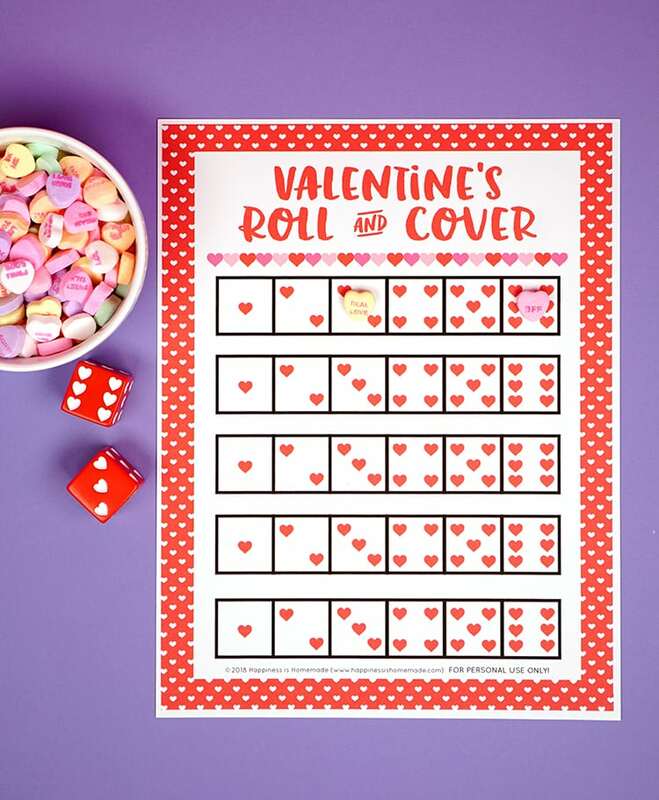 It can be played with all different ages and skill levels, and the only supplies that you need are our free printable Valentine’s Roll and Cover game sheet and some candy hearts! Or, if you’d prefer to keep things sugar-free, you could also use paper hearts or small heart erasers instead of candy. 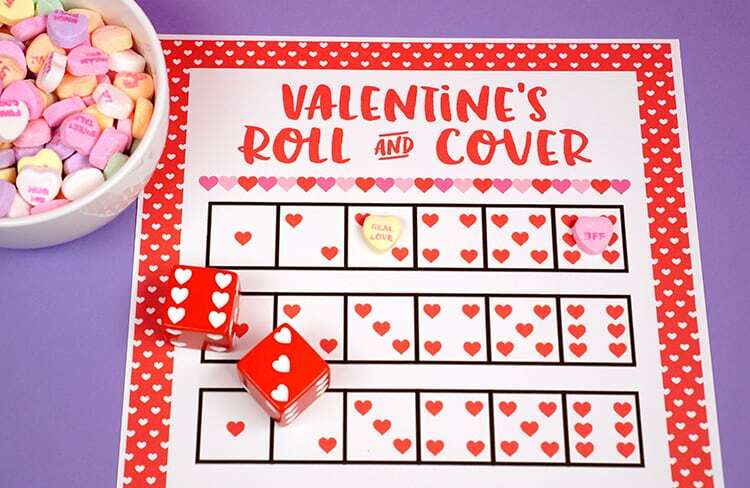 This Roll & Cover Valentine Game can be played in a circle by taking turns rolling the dice or you can give each player their own die/dice and have everyone compete head-to-head at the same time in a race to fill their cards. Whichever way you choose to play it, it’s a TON of fun! 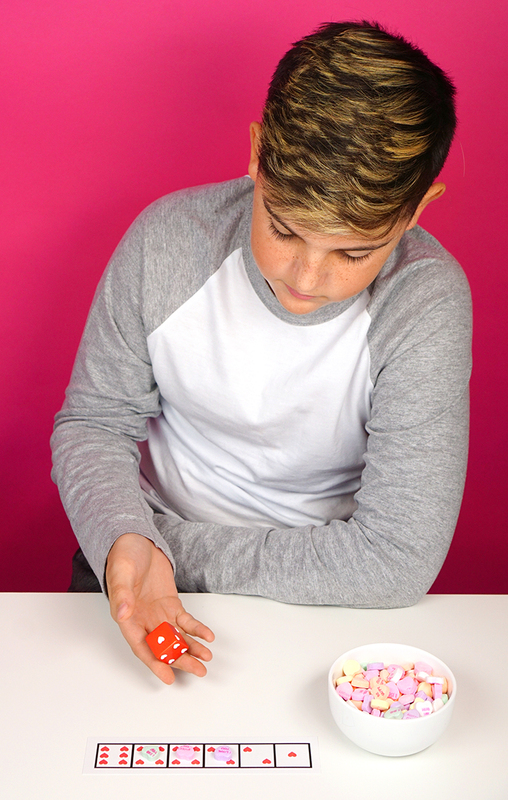 You can opt to use either one or two dice to play the game – one die will make the game take longer, two dice will make it faster. 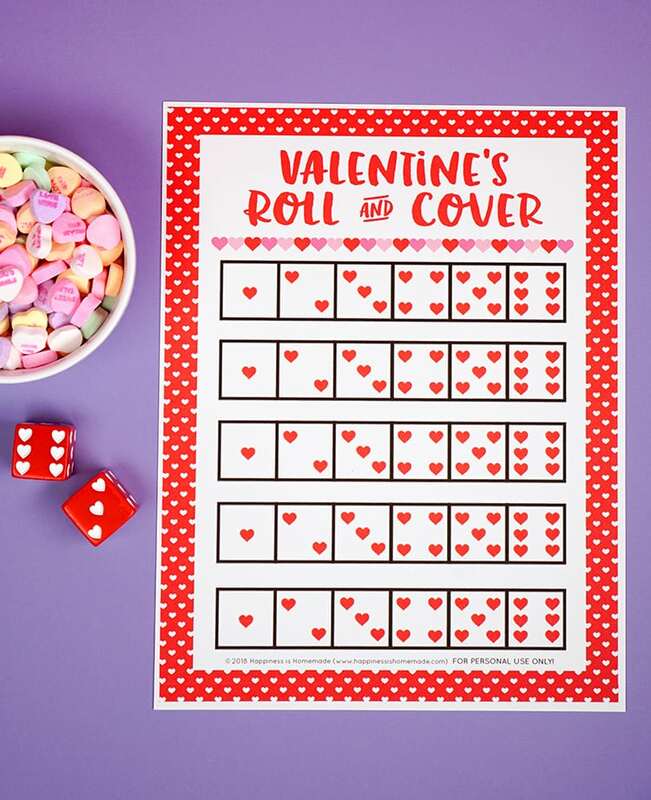 Roll the dice and cover the corresponding number(s) on the game card with a candy heart. Whoever covers all of their spaces first is the winner! I like to give out small novelty prizes for the top three winners, and everyone else gets the candy hearts (or erasers) consolation prize – something for everyone! If you want to conserve time and paper, you can also print out the game card and cut out each individual strip – there are five game strips per sheet. Use the single strip instead of the larger sheet for faster gameplay! Enter your email below to get instant access to the printable Valentines game! Pin this Valentine’s Day Game for Later! This looks so fun! I can’t wait to play it with the boys! Hi. 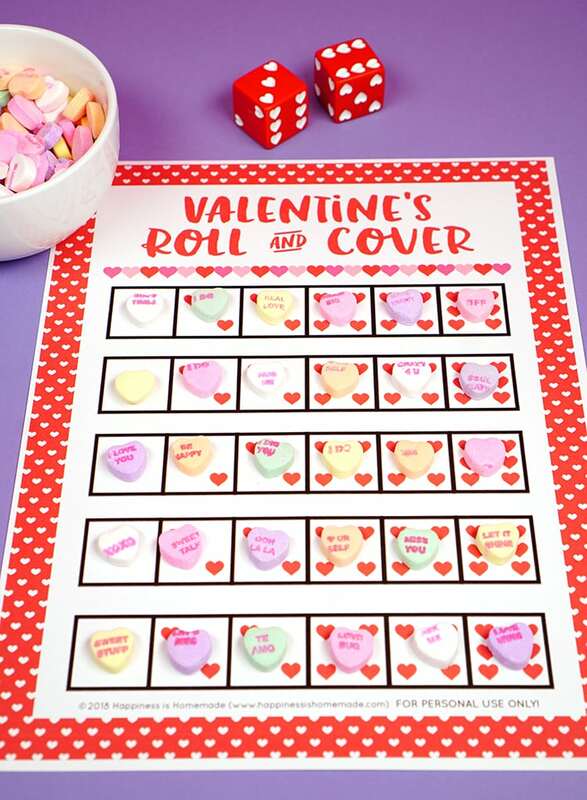 I am having a hard time finding the link to download the printable version of this Valentine’s Day game board. Can the link or pdf be sent to me? Thank you!! I’d like to use this for our kindergarten party.